Enigma Canoes Prospector 16 is a true all round general purpose open canadian canoe. 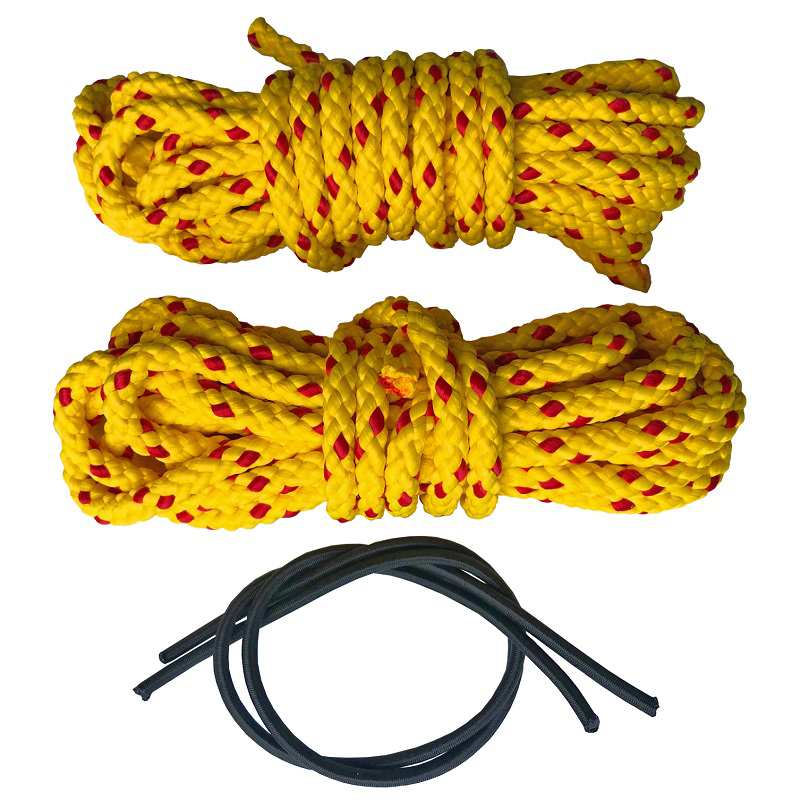 Perfect for tandem or solo paddling on calm flat waters or some more adventurous whitewater. 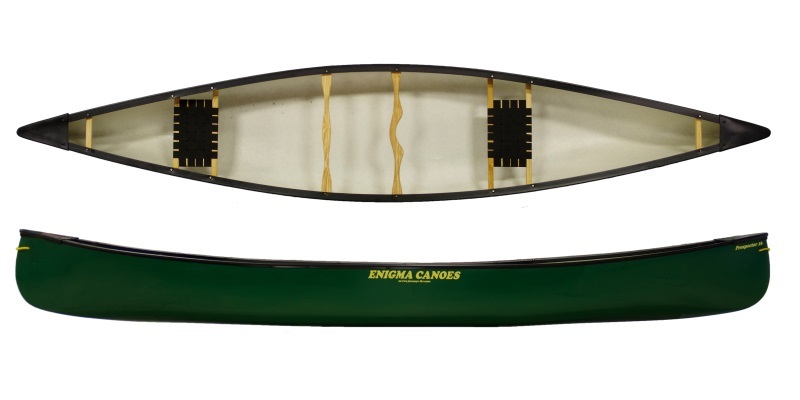 The Engima Prospector 16 is an amazingly versatile open canoe that is an ideal choice for anyone who want to be able to say 'yes' to amost any offer of where to go for a canoe trip. Whether paddling solo or tandem, the Enigma Prospector 16 is fully capable of delivering a stable and predictable ride and cover distances with relative ease. 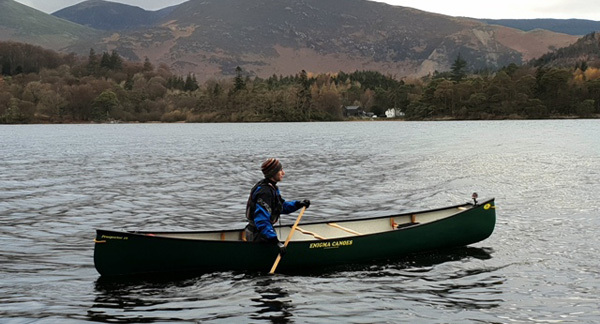 A great blend of manoeuvrability and speed make this an ideal open canoe for exploring a wide range of waterways from lakes to fast flowing rivers. Indeed, the Enigma Prospector 16 is equally at home running whitewater rapids or pootling down a slow flowing canal. 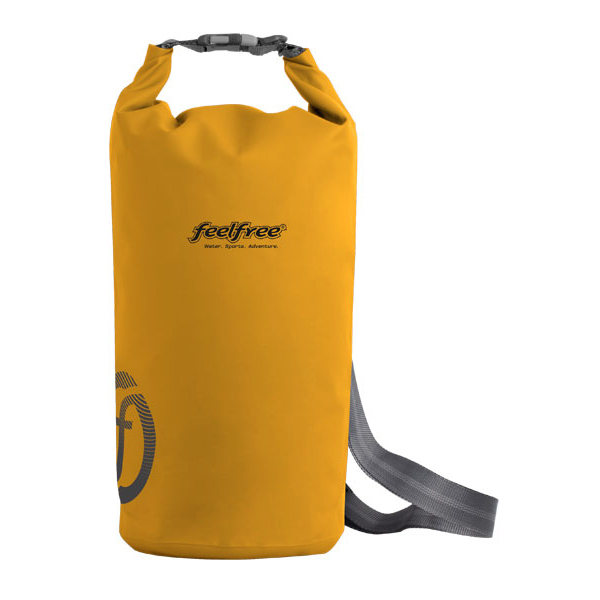 The triple-layer polyethele construction makes the Enigma Prospector 16 rugged and reliable meaning that you're not worrying about every little rock and drop in you come to. The 2 wood and web seats that are fitted as standard are comfortable, even over several days of paddling, and take very little maintenance. 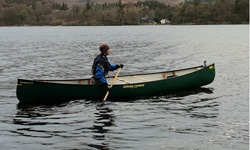 A carrying yoke, thwart and bow and stern carry handles complete the furniture and there are even handy grab loops already fitted bow and stern making lining, towing or just attaching painter lines so much easier. 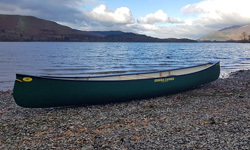 Overall, the Enigma Prospector 16 is a great Canadian Canoe for all sorts of people and a superb canoe for improving your paddling skills. The Enigma Prospector 16 is available for delivery thoughout England, Wales, Scotland, Northern Ireland & Ireland. 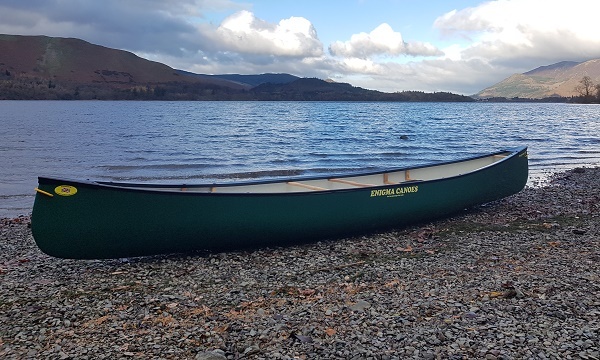 The Enigma Prospector 16 is available for instore collection from Norfolk Canoes or from any branch within the Canoe Shops Group.